According to LinkedIn, the “Social Selling Index (SSI) is a measure that ranks a company or individual’s utilization of a LinkedIn Profile as a social selling tool.” I prefer to define it as how socially savvy you are you in terms of building LinkedIn relationships, consistency of communication and engagement. LinkedIn’s new free tool to discover your social savvy rating can be a great discovery. If you are not familiar with social selling as a term, it is “the process of using your professional brand to fill your pipeline with the right people, insights and relationships” as defined by Koka Sexton the social selling manager at LinkedIn. How we do business has changed for business buyers and consumer alike. Buyers have already made a decision before you reach them – so your job is to become the person they want to do business with. LinkedIn is the perfect platform to begin to connect with and develop relationships. To learn more about the social selling process check out my article LinkedIn: Social Selling – Create better relationships, drive better results! Social Selling Index measures your performance against these four essential elements described below. * Think deeper into linking to individuals you know for your outer circle of connections. Consider that as an extension of your inner circle of people. Finding the right people – based on what kind of searches you perform. Discover and share conversation in other words, what you put out and how others engage with your content. The bottom line is this tool could be encouraging the right kind of behaviors that LinkedIn wants people to use the platform for! Your social positive approach might the daily affirmation that you give through endorsements. You us LinkedIn as a way to thank others, recognize an work anniversary, or new award. 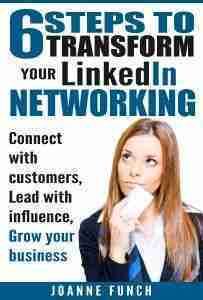 Use LinkedIn as energized focus. You can foster a sense of well-being for colleagues, or inspiring a connection to higher levels of business performance in their skill set. Reward excellence is always a welcome experience. There has been much banter within the LinkedIn training community of which I am a part of talking about LinkedIn using this tool to get people to upgrade to their sales navigator product which you will see reference to on the bottom of the SSI page when you access it. Regardless, I think it encourages the savvy users to become even more focused on how they use the platform and I hope it encourages novice users to see how powerful the platform is in building and maintaining their professional brand reputation. Some of my colleagues liken this new SSI tool to the social media Klout score because it ranks your social activity, again I think it is a measurement that may offer you some insight as to how you use LinkedIn and how you might improve your results based on the data. 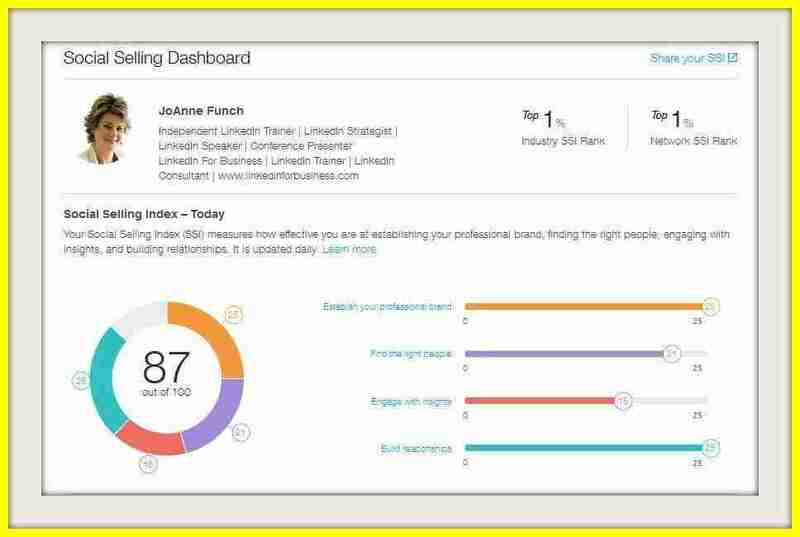 Check out your social selling index and utilize LinkedIns new free tool to discover your social savvy score. click here for you LinkedIn Social Selling Score.